Smatterings of family, gardening, food, DIY projects and whatever strikes me. Not necessarily in that order. While I don’t really expect to see any actual beans growing from the decimated bean plants in my garden, it’s nice to see a few green leaves and flowers rise up out of the brown stalks. Not sure if it was the combination of rain and heat we’ve experienced the past couple weeks or what exactly, but on Saturday I noticed a few green leaves sprouting, along with some cute little flowers. 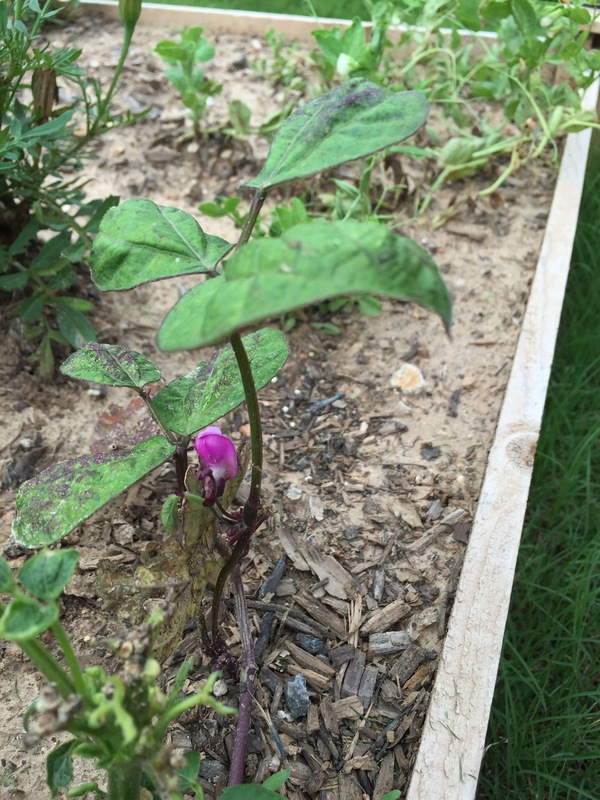 Even this purple one from a purple bean plant. I cut off most of the brown leaves so they don’t take moisture from the green leaves and flowers, but my guess is they won’t be there when we return from a weeklong vacation mid next week. That’s okay though. I’ll just enjoy them for the next few days before we leave. If they’re around when we get back, cool. If not, they were nice while they lasted. 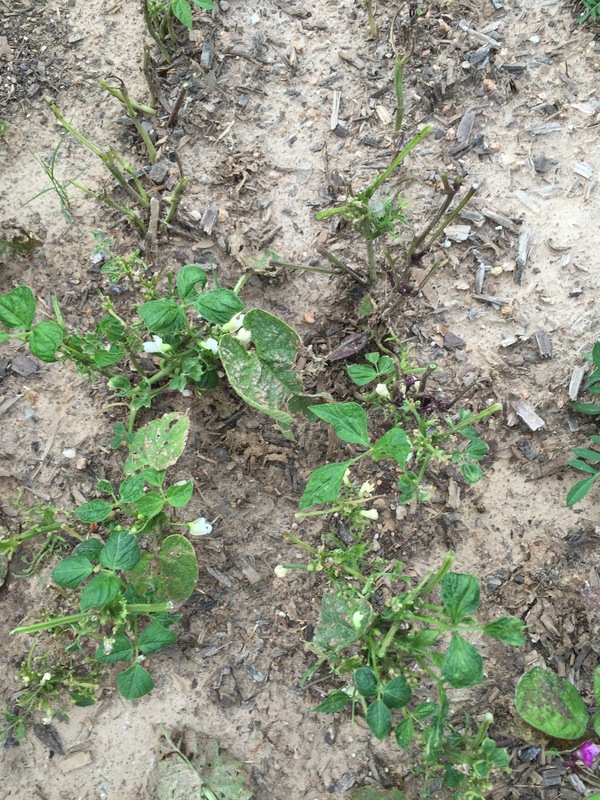 This entry was posted in Gardening and tagged beans on May 31, 2015 by Julie Riebe. Enter your email address to follow Chocolate Chips and Chaos and receive notifications of new posts by email.